Local businesses will not have to authorize each individual tow from their property after Gov. Terry McAuliffe (D) signed a bill ending the would-be practice. 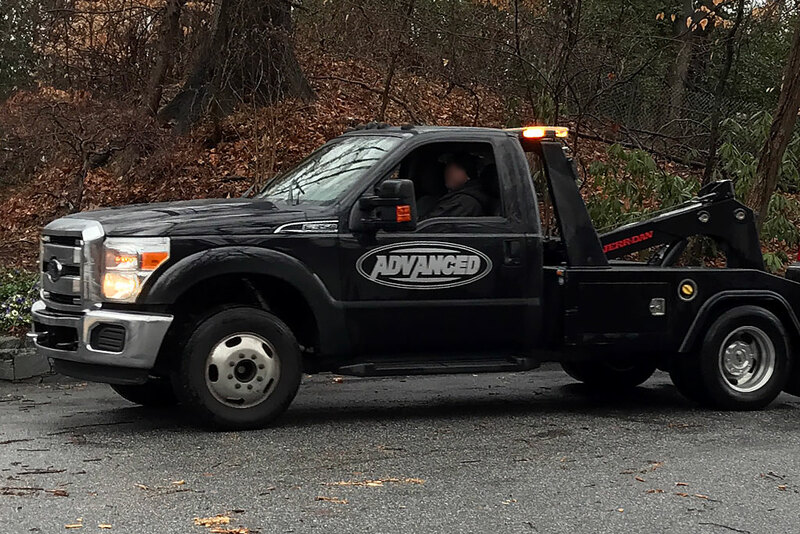 HB 1960 overrides Arlington County’s towing regulations that required a so-called “real-time authorization” of each tow during business hours. The county’s regulations were set to come into effect on July 1. The bill, introduced by Del. Tim Hugo (R-40), prevents any jurisdiction in Northern Virginia from requiring the authorization, also known as a second signature. The first signature is the contract that authorizes a company to tow from a particular property. 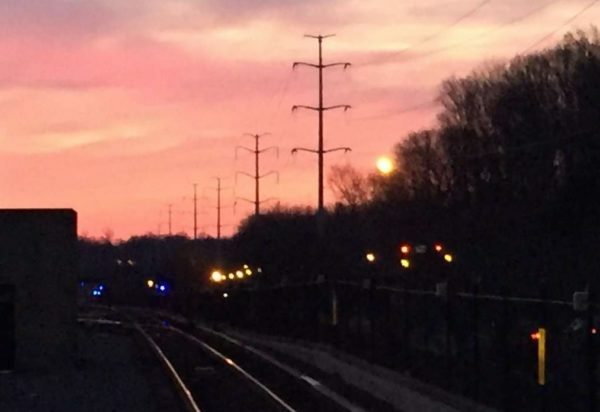 Having previously railed against the requirement, Arlington Chamber of Commerce president and CEO Kate Bates praised McAuliffe’s decision. The signing of this important legislation into law is a huge win for the Arlington business community. 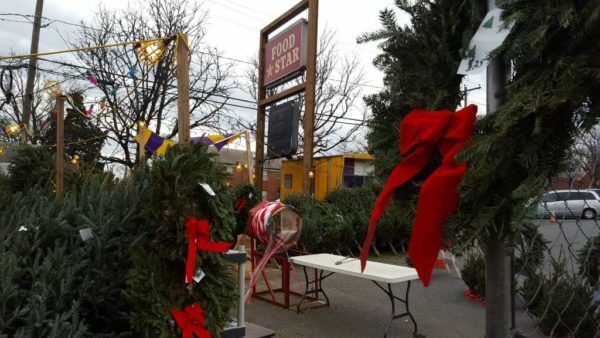 Arlington businesses rely on being able to provide clear, available parking for customers, employees and visitors in order to stay viable, and HB 1960 empowers and protects these businesses so they can continue to do just that. 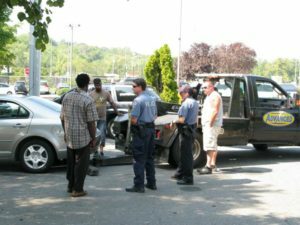 By removing the ability of local lawmakers to force businesses to adhere to a second authorization towing requirement, this legislation returns the decision-making power about the removal of illegally parked vehicles back where it belong: in the hands of private property owners and business owners. 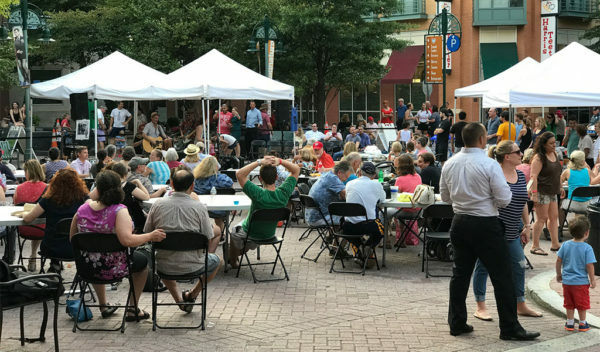 McAuliffe said in an interview on WTOP this morning that he signed the bill after having conversations with representatives of local chambers of commerce and small businesses. “I always will come down on the side of the small business community, so I signed the bill,” McAuliffe said. County Board chair Jay Fisette told ARLnow.com he was “disappointed” at McAuliffe’s decision, after he initially tried to amend the bill. Fisette said the second signature is necessary to prevent predatory towing. Fisette said he hopes the Chamber and county can now work together to find a way to address both parties’ concerns. 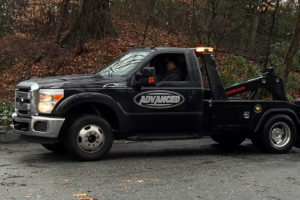 One minor change requested by McAuliffe, concerning fines for towing operators in Northern Virginia that will apply each time they make an improper tow or violate certain towing regulations, was made to the final bill by the legislature. The bill also calls for towing operators to notify the local animal control office when a car is towed with a pet inside. Local Del. 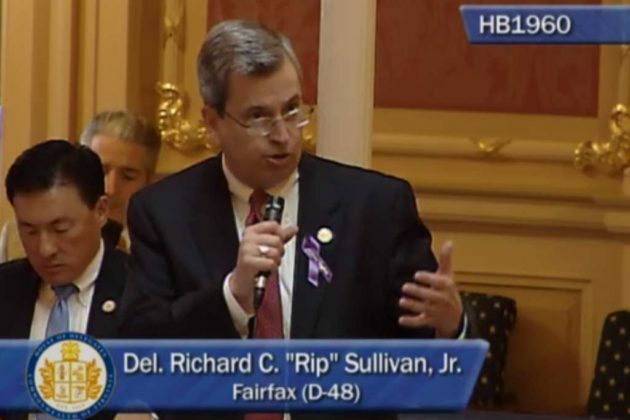 Rip Sullivan (D-48) spoke forcefully against the bill on the floor of the House of Delegates during the General Assembly’s reconvened session earlier this month to discuss McAuliffe’s amendments and vetoes. He said the fact that other localities like Virginia Beach and Stafford County have a second signature provision shows inconsistency. He said the General Assembly should have “left well alone” for jurisdictions to decide. The Virginia House of Delegates last week voted down Gov. Terry McAuliffe’s (D) plan to gut a towing bill that targets Northern Virginia. The bill now goes back to McAuliffe. 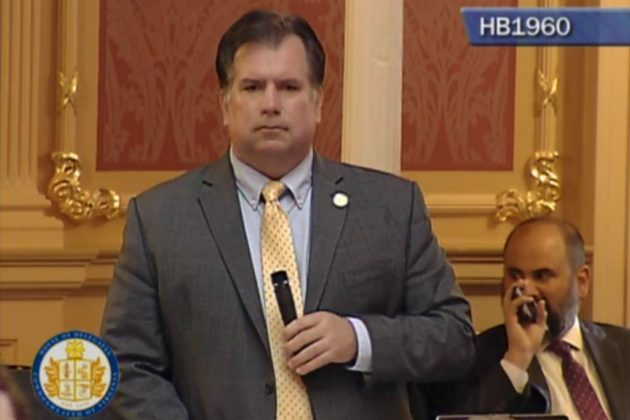 McAuliffe’s amendment to HB 1960 would have removed language preventing jurisdictions in Northern Virginia from requiring a “second signature” to authorize a tow from a commercial property. The second signature comes at the moment of the tow; the first signature is the contract that authorizes a company to tow from a particular property. The bill would affect all of Northern Virginia, known as Planning District 8. It overrides regulations passed by the Arlington County Board last December to amend the county’s towing ordinance. Included in the County Board’s package was a controversial provision requiring businesses to authorize individual tows. 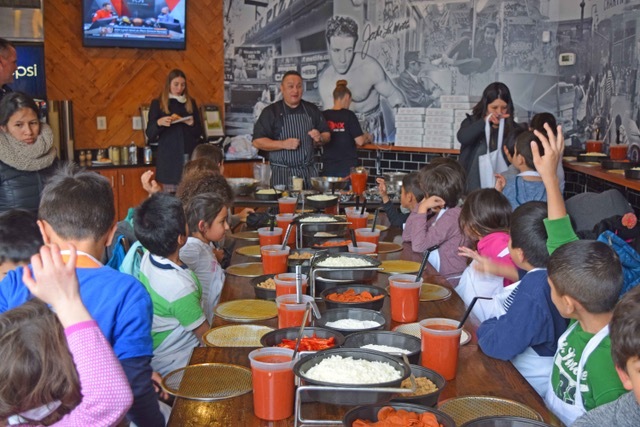 That provision brought objections from the Arlington Chamber of Commerce and others in the business community. McAuliffe had tried to lessen the impact of the General Assembly’s towing bill by adding suggested language requiring the second signature. 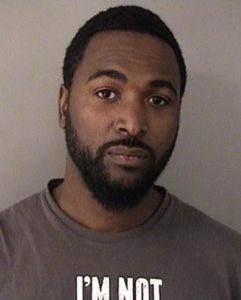 But Fairfax and Prince William counties Del. Timothy Hugo (R-40) said at the House’s reconvened session April 5 that requiring a second signature is not practical. Hugo, the bill’s chief patron, said needing a second signature would prevent the likes of churches, restaurants and apartment complexes from quickly removing illegally parked cars. “What this amendment would allow, is it would require every time the tower wants to tow that illegally parked car, they’ve got to find the preacher, the restaurant manager, the president of the homeowners’ association, they’ve got to find a second signature for that tow,” Hugo said during the debate. Del. 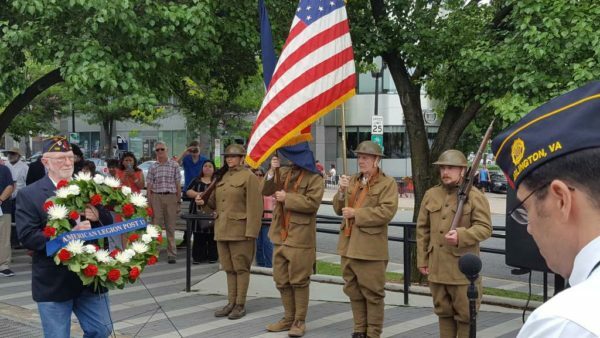 Rip Sullivan (D-48), a member of Arlington’s House delegation, said it was unfair that Northern Virginia be singled out in the bill while the likes of Stafford County and Virginia Beach can require a second signature. Debate brought some testy exchanges on the House floor during the one-day session where lawmakers debated McAuliffe’s vetoes and proposed amendments to other passed legislation. Del. 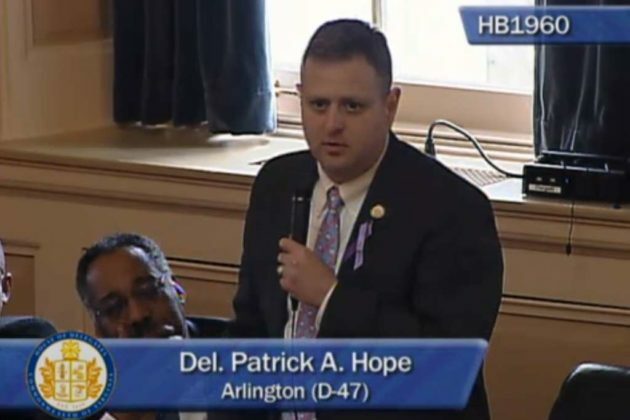 Patrick Hope (D-47) echoed Sullivan’s sentiment, asking why the bill only applies to Northern Virginia if it “is such a good idea,” and why it thus could not apply statewide. “If the gentleman wants to put that bill in next year, he’s more than welcome to do so,” Hugo said in response. Then Del. 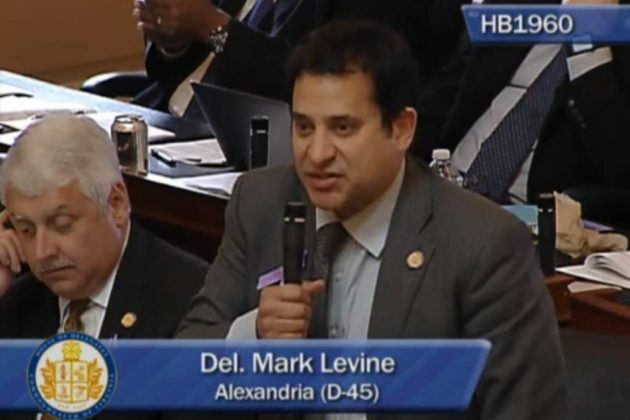 Mark Levine (D-45) questioned why Virginia Beach is able to keep prohibiting predatory towing but Arlington County cannot, and he said that McAuliffe’s amendment would make one towing standard apply across the commonwealth. Hugo said the amendment would only affect Northern Virginia, then House Speaker Bill Howell (R-28) ended debate. “How petty that Republicans would try to pass a law overruling a predatory towing local ordinance in Democratic Northern Virginia while allowing the exact same predatory-towing ordinance in Republican Virginia Beach,” Levine wrote in an email to supporters. The House rejected McAuliffe’s amendment by a 67-33 vote. The governor now must either sign or veto the bill.